The Animated Woman: Ello VS Facebook? 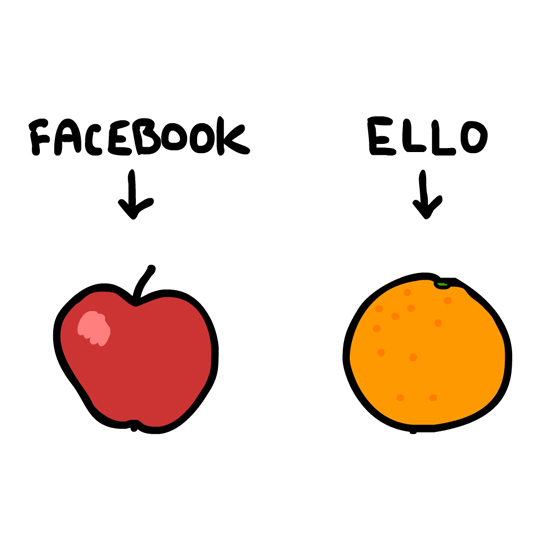 Facebook and Ello are like apples and oranges. I use both, for different reasons. Do you prefer Facebook, Ello, both or neither? Some great comments on this here.